The central bank could be nudged into extending its December 2018 minimum capital deadline, at least for local banks – which met President Akufo-Addo on Monday to ask him to intervene. At the meeting, attended by BoG Governor Dr Ernest Addison as well as other government officials, President Nana Akufo-Addo is said to have ordered the establishment of a committee to look into the concerns raised by local banks. 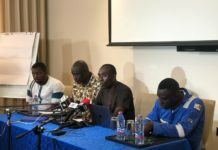 A source told B&FT after the meeting that the committee will comprise three members each from the Ministry of Finance, Bank of Ghana and indigenous banks, with the chair appointed by President Akufo-Addo. The committee’s report, to be released on May 26, 2018, is expected to deliver a roadmap for strengthening the banking sector – especially local banks. 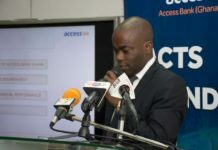 The report is also likely to contain a call for an extension of the timeline for local banks to raise the required GH¢400million minimum capital. “The way forward is likely to include more time for local banks. From everybody’s body-language, local banks will be given some more time to meet the deadline,” the source said. The meeting also addressed issues like the need for government to promptly pay contractors who owe banks, so that banks do not have to make provision for government-related loans. “The president noted that should government be performing well, it will reflect in the performance of local banks because local banks are largely supporting government,” the source added. The local banks also noted that the constant increment of stated capital is due to dollarisation of the economy, so much so that everything is pegged to the dollar. 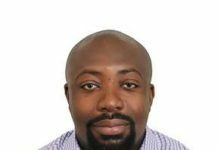 “It is not the fault of banks that the cedi is losing value, and the constant capitalisation drive by the Bank of Ghana means that whenever the cedi depreciates over time the Bank of Ghana will come back and say ‘raise your capital’. “Why should a bank suffer for non-performance of the cedi? Just because comparing the cedi to the dollar means the value has dropped doesn’t mean banks should constantly raise their capital. At the time the minimum capital was GH¢60million in 2008, the dollar to the cedi was one to one; and now that we have allowed the cedi to fall to GH¢4.5, banks are being forced to raise their capital,” the source said. The B&FT understands that the local banks also made a strong case for government giving them most of its business, since their growth is fundamental to strengthening indigenous businesses. “A lot of government deposits are sitting on the books of foreign banks. You do not support local banks, but you turn around and say they are weak,” a source said. 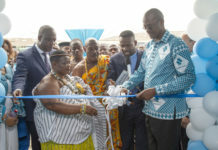 In their petition, the local banks noted that even though they agree with the Bank of Ghana on increasing the minimum capital, the current value is too steep and the timeline is too short to raise the capital or even merge institutions without loss of jobs and a possible negative long-term impact on the economy. 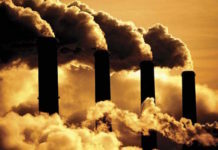 They therefore asked that raising the minimum capital should be staggered over five years, with levels including GH¢170million, GH¢220million, GH¢280million, GH¢340million and GH¢400million annually from December 31, 2018 to December 31, 2022. 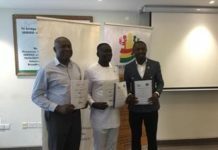 “The proposed structure of attainment will enable Ghanaian shareholders, both existing and new, to make yearly contributions to build the capital of these indigenous banks in a smooth and steady manner with little or no contribution from foreign investors, thereby retaining control of the banks in the hands of Ghanaians,” they argued.